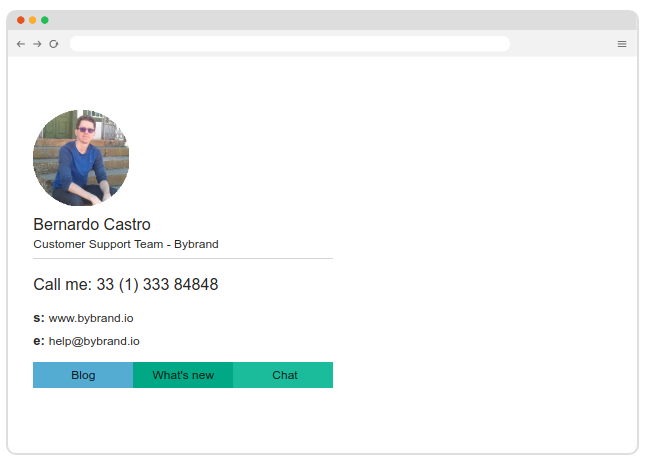 At Bybrand, we are focused on providing a great tool to help standardize the company’s e-mail communication, with a minimum of effort, involving all employees. The hardest part is getting started. 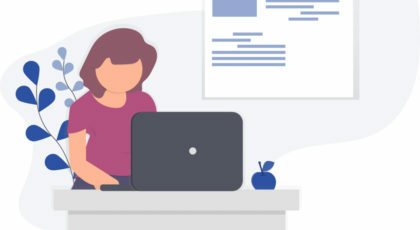 Once you’re fully on board, with your email signature created, it’s easy to paste into employees’ email, or use integrations like G Suite and Gmail to get the signature right in use. Enough talk and let’s get down to business. I created these 3 models to help new customers get inspired by all possible use cases. This is a simple and beautiful email signature model that fits any occasion. Clean, direct and with really useful information. It is 480px wide and looks good on desktop and in emails that are opened on tablets. Because it’s 480px wide, on very small screens, it can break. It is worth considering creating a new model with a 320px width specifically for mobile phones. I didn’t use icons for the information, only for the social networking part. Another point to note, I used large letters, the size of 14px. This two-column model aims to reinforce the brand in the minds of customers who receive the message. The left-hand column is for the logo only. The sender information data is on the right side. Note that I made a logical split using borders, a feature of the Bybrand Editor. Note that it is 600px wide and is ideal for those who need to add a lot of information. A standard icon style maintains the harmonic model. For mobile email signature, you may want to create a second signature, especially for your device. Let’s say the mobile version. This is a safe way to ensure that the information you add such as logo, phone number, website, and social pages are well regarded. If your desktop signature has a lot of information, it may be the case to remove some of the mobile version. In this model above, I took care to add my photo, to give a more personal tone to the conversation. And I added only the main forms of communication, and in which sector I work. 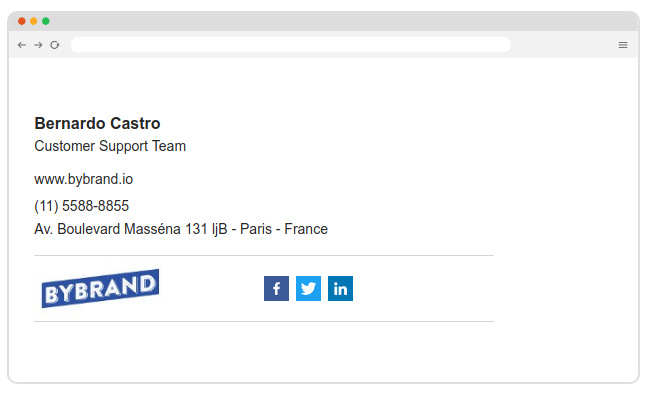 In my example business, I prefer to use phone calls, so I highlighted the number on the email signature. Above are the 3 templates to start, they were created at that exact moment that I write the article. You can, and should, delete rows, columns, and areas that you find inappropriate. The Bybrand Editor enables complete editing. I also encourage you to see other beautiful HTML signature templates on our template page. Currently, we have examples for the areas of help desk, professionals, marketing and branding. 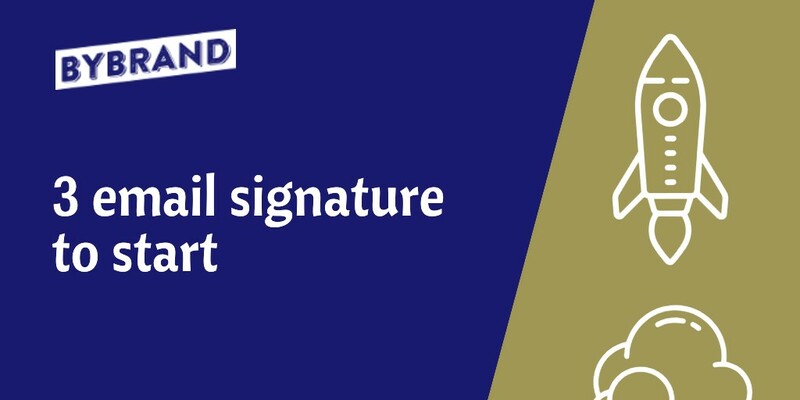 After you paste the signature into the email, and send the first message, do you know what happens? 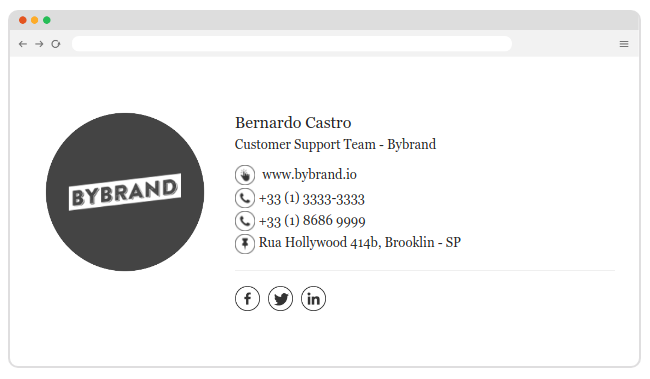 Introducing Bybrand Reports, Google Analytics of your email signature. What to include in your email signature?